January 2nd in Theme Lists, WordPress Themes by Wordpress Jedi . 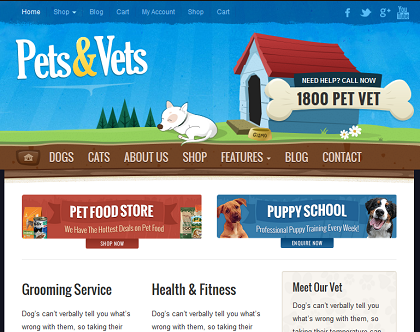 Pets & Vets: a WooCommerce theme for pet sites and vets. It has a responsive design and has over 82 theme options. The theme is ready for Retina displays. 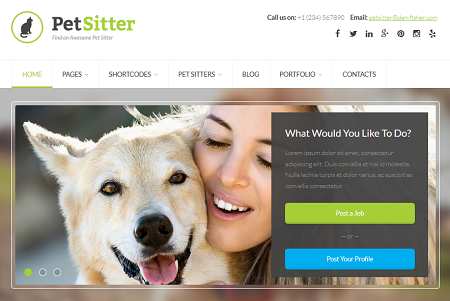 PetSitter: a theme designed for job sites that focus on pet-related services. It has Redux theme options, 40+ shortcodes, front-end submissions, and support for Google fonts. 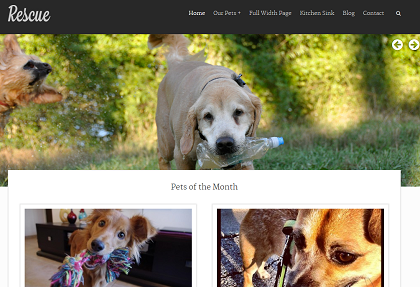 Animal Planet: a 2 column WordPress theme for pet sites. It offers blog and portfolio functionality. It is powered by the Cherry framework. 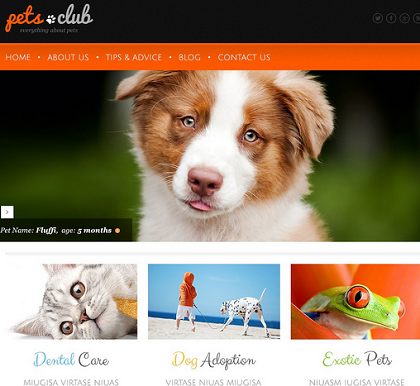 Pet Care Kennels: a theme designed for pet-focused businesses. It has a responsive design, a drag & drop page builder, support for Google fonts, and more. 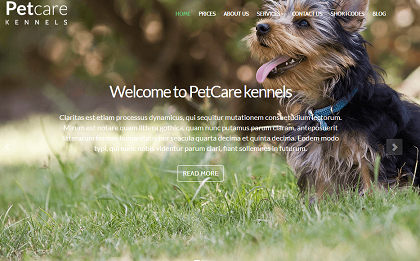 Animals & Pets: a responsive, customizable theme for WordPress. It offers over 80 shortcodes and is ready to be translated. 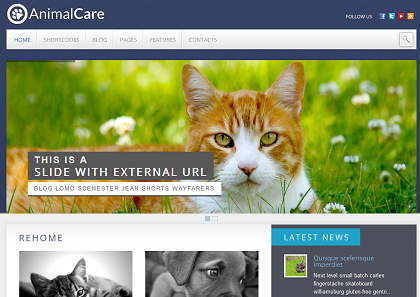 Animals & Pets theme: a jQuery-powered WordPress theme with blog and gallery functionality. You can use it to promote your pet-focused business. 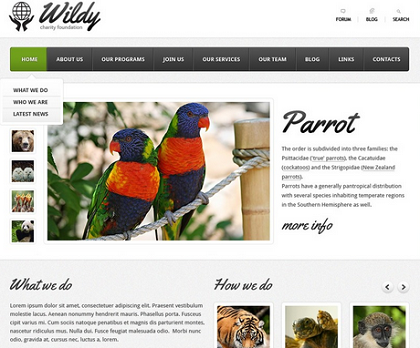 Exotic Birds: a responsive theme with a fully editable design and support for custom post types. It gives you multiple color options. 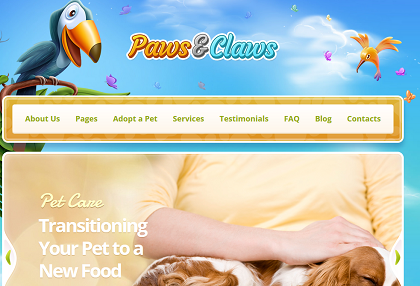 Paws & Claws: a responsive pet WordPress theme for your pet clinic site. It has various shortcodes, a powerful appointment module, and SEO options. 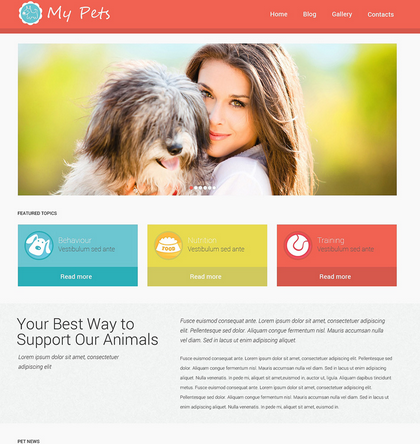 Rescue: a 100% GPL theme for animal shelters and Petfinder-enhanced sites. 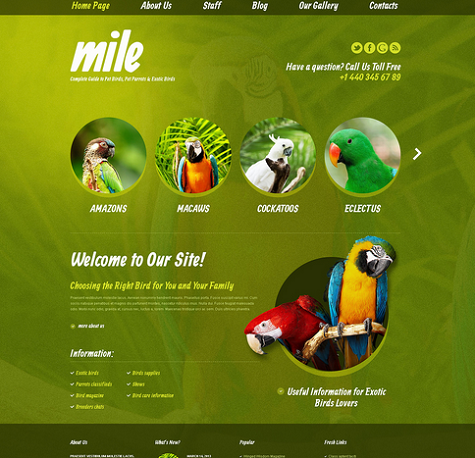 It offers 2 content layouts, a responsive design, 3 custom widgets, and a jQuery slider. Animal Care: another theme that offers integration with Petfinder. It has 6 custom widgets and useful shortcodes. It is video friendly. 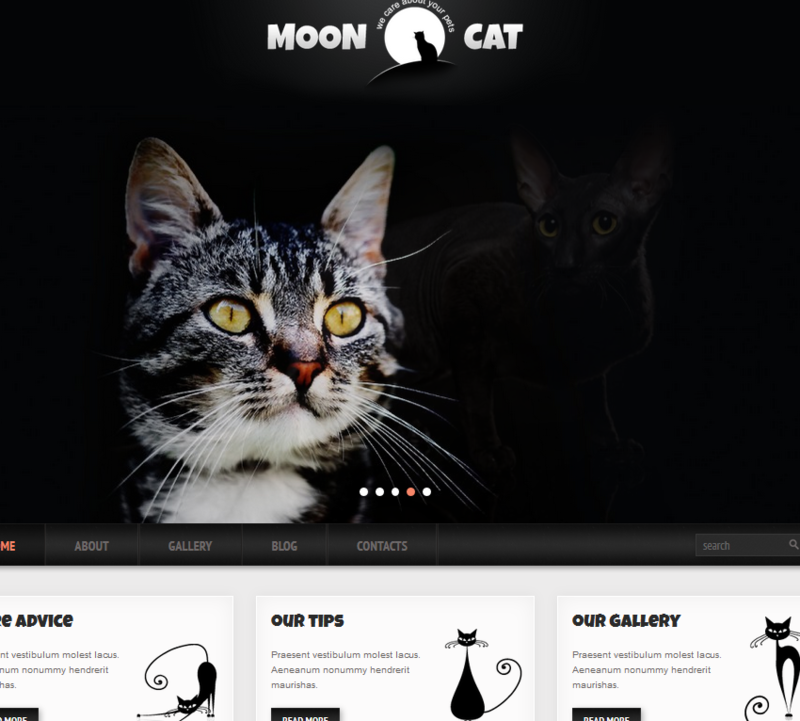 Conceptual Cat: lets you build a simple pet website or blog fast. It is powered by the Cherry framework. It is WPML ready. 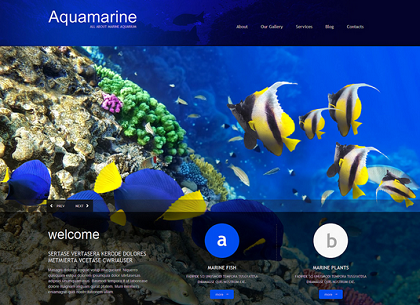 Fish: this theme lets you bring your fish-focused website online. It is powered by the Cherry framework. This 2-column theme is translation ready and easily customizable. 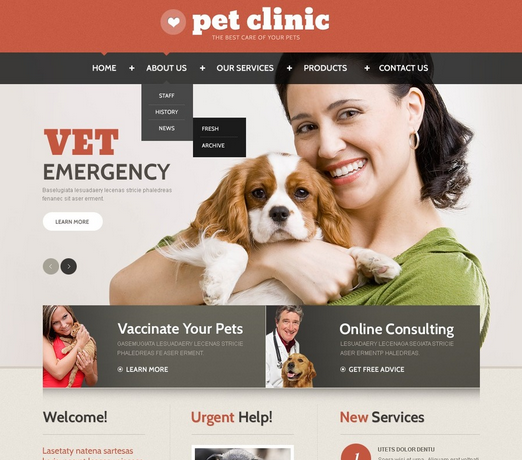 Vet website: another WordPress theme for pet clinics. 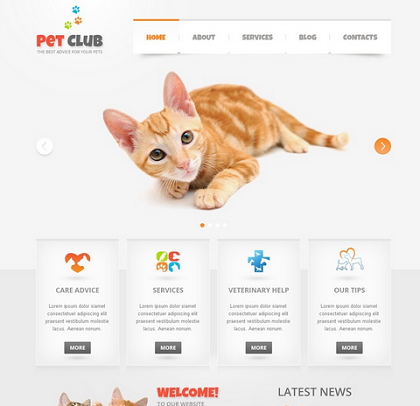 It is not as sophisticated as a few other pet clinic themes we have seen, but it is simple enough to help you promote your services on your site. Animal Shelter: a simple theme designed for animal shelter websites. This theme is coded in HTML5 and jQuery. Pet Sitting: a simple theme for pet sitting businesses and other pet-related websites. The theme is coded in HTML5 and jQuery.